CBD has been hailed for its variety of potential health benefits from helping with issues such as sleeplessness, lack of concentration, and pains, to more serious conditions such as epilepsy. In this article we look into CBD for epilepsy and the possible benefits. With clinical studies turning up positive results, CBD for epilepsy has gained a lot of traction recently, especially in the United States where it is the first use of CBD approved by the FDA. In this second article of this HealthyTOKYO 10 part series on the potential benefits of CBD, let’s take a look at why CBD for epilepsy should be seriously considered. CBD, otherwise known as “Cannabidiol” is a chemical compound that comes from the Cannabis Sativa L. plant. This compound, called a cannabinoid, has been shown to interact with receptors in the brain and body, and is said to produce a number of beneficial results. It can be sourced from either marijuana or hemp, and in the later case, it contains almost no THC. For a more in-depth explanation about CBD, please also take a look at the other HealthyTOKYO articles on CBD, “CBD Oil and the Science Behind It – A Doctor’s Perspective” and “CBD for Depression”. Simply put, epilepsy is a condition that leads a person to have repeated seizures. 1 in 26 people in the US will be diagnosed to have epilepsy sometime during their life, and it is the fourth most common neurological disease. Seizures caused by epilepsy can vary in degrees of seriousness, from loss of body control (uncontrollable twitching) to mild blank staring, but even mild seizures can prove to be very dangerous in certain situations where constant control is paramount, such as driving or swimming. How does it work? Well, the exact science behind how CBD helps with epilepsy is still not entirely clear. As discussed in my previous article, “CBD for Depression”, CBD as a cannabinoid interacts with receptors in the brain, and it is through this function that we assume CBD can help alleviate epileptic symptoms. EPIDIOLEX, an oral solution made of 90% CBD was recently approved in the United States for treating two types epileptic syndromes, Dravet syndrome and Lennox-Gastaut syndrome. These two syndromes can develop in children from a very young age (around 2 years old and up), and have proven to be very difficult to treat with traditional methods while potentially causing serious developmental damage. CBD treatment by EPIDIOLEX is the first FDA approved medication to specifically help with Dravet syndrome, which effects between 1:16,000 and 1:21,000 people. In addition, research on the efficacy of EPIDIOLEX for epilepsy was conducted by means of the “Gold Standard”, wherein the researchers did not know which patients received CBD and which received placebo. In a study with positive results conducted by Dr. Orrin Devinsky, director of NYU Langone’s Comprehensive Epilepsy Center in New York, doses of 10mg and 20mg of CBD were administered to people who suffer from epilepsy. Nearly half the 225 patients with Lennox-Gastaut syndrome saw reduced levels of daily seizures when treated with CBD, with 42% fewer seizures reported for those in the 20mg group, and 37% fewer seizures for the 10 mg dosage group. It should be noted that the control group given placebo also saw a reduction of 17% in seizures however. Devinsky went so far as to claim that, “Compared to other drugs used to treat epilepsy, I think Epidiolex, which is 99-percent pure cannabidiol, has a better side-effect profile than many of the available drugs.” The negative side effects mentioned here seemed to be more prevalent to the group with a higher dosage (20mg) and included a loss of appetite, trouble sleeping, low energy, and change in liver function. 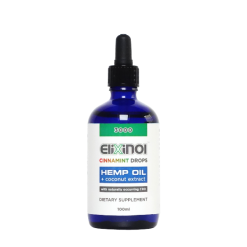 In addition to the aforementioned clinical trials, one can easily find a slew of positive testimonies from those who have tried CBD oils to treat their own epileptic symptoms or the symptoms of their loved ones. Perhaps one of the most well-known stories of people using CBD to surprisingly positive results is the account of “Charlotte’s Web”, a young girl who suffered from hundreds of seizures every week from a very young age, but who then saw nearly all her symptoms disappear upon taking a high concentrated CBD oil. Furthermore, there are a whole slew of accounts from people on the internet who have shared their experience of using CBD for epilepsy. Below are a few comments from epilepsy.com’s forum members. *A petit-mal is a brief, sometimes unnoticeable, seizure, which is nevertheless dangerous as one of the symptoms can be a loss of consciousness. CBD oil like those used by the forum members above can be acquired in Japan by means of an online seller, but please make sure to confirm that the THC content is 0%, as THC is a strictly prohibited substance in Japan.. 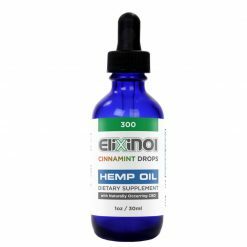 Even certain hemp based CBD oils can contain trace amounts of THC, so please confirm that the seller provides clear information and certification regarding their CBD products. 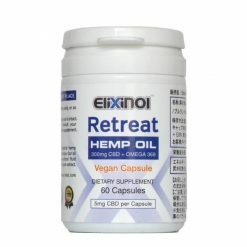 While it is very tempting to say that CBD is a viable treatment for epilepsy in general, keep in mind that the clinical trials sited in this article were specifically conducted in relation to Dravet syndrome and Lennox-Gastaut syndrome, so they do not necessarily provide evidence as treatment for all forms of epilepsy. If you would like to try CBD for epilepsy, do not do so without first consulting a doctor. If you would like to know more about CBD or anything else health related, please do not hesitate to use the HelathyTokyo chat feature located at the bottom right of the screen.